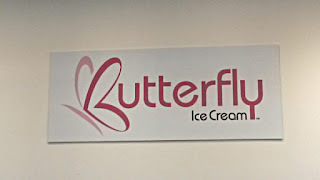 Butterfly Ice Cream is located on Coral Street, at the SALT at our Kaka'ako Shopping Center, in Honolulu, Hawaii. 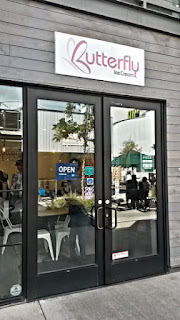 This is the same shopping complex where Moku Kitchen is; I met up with Sean of Wreckless Eating there last year. 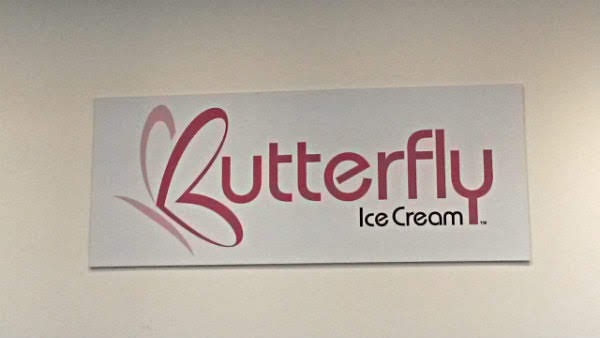 Butterfly Ice Cream is maybe a few spots away. 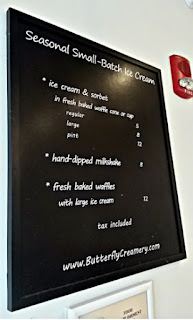 There are some everyday flavors and a few rotating ones. As with just about every ice cream place, you'll have choice of a cone or a cup of ice cream. 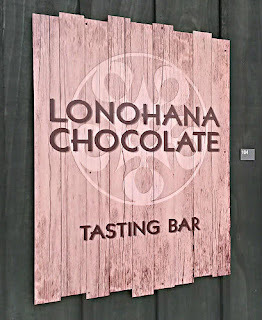 I saw they had a limited-time flavor, their caramel ice cream with chopped Lonohana Salted Milk Chocolate in it. 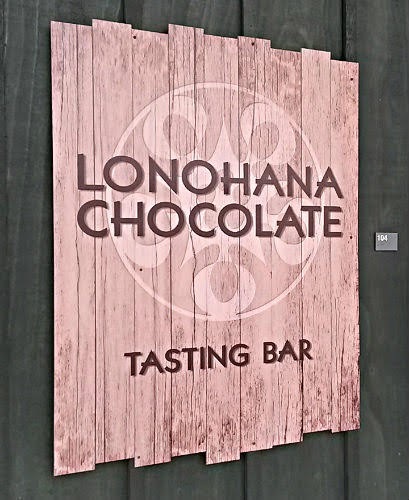 Lonohana is conveniently next door to Butterfly, for those wondering. 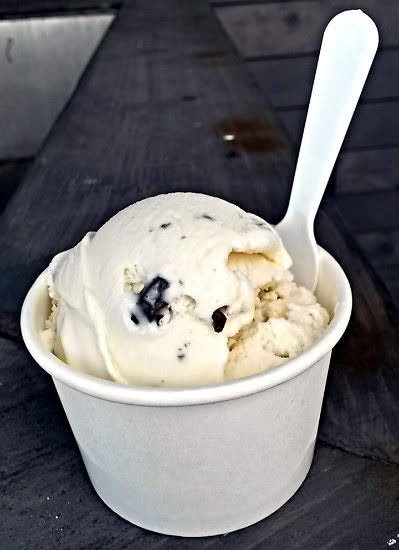 This was awesome ice cream. 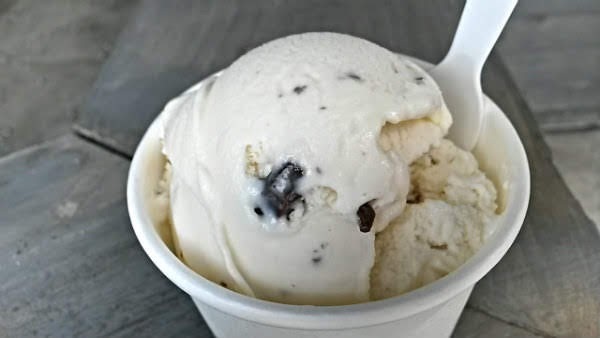 Creamy, lots of chocolate bits in it. It was more a harmonious vanilla ice cream with a lighter caramel flavor, as opposed to tons of caramel hitting you in the face. It's pricey at $5 for a single scoop, but that's a mix of perhaps Hawaii prices (in general) and the location. 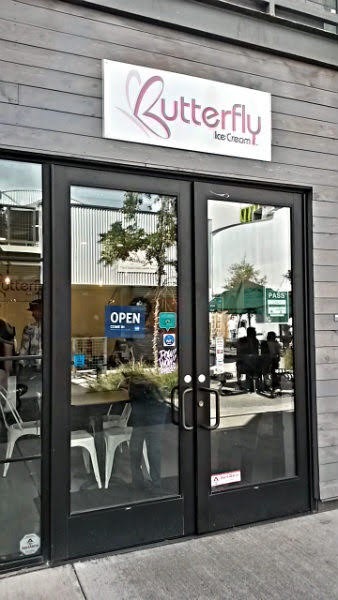 You can try as many flavors as you want. The Black Sesame ice cream is usually always on the menu and is surprisingly good. Wonderful sesame in that one. 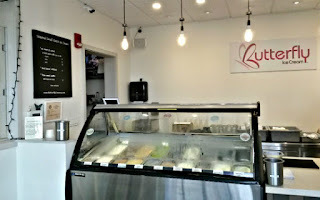 They also have an excellent Kona Coffee ice cream.